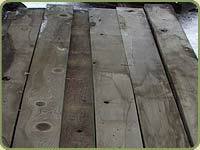 Browse our line of products below, or browse by species on the lumber species page. If you don't see what you are looking for don't hesitate to email us and request a custom job. Bear Creek Lumber can accomodate all standard size specifications on the products below, this is only a chart of our most common products, submit a request for a quote for special orders.